Australia has the world’s 12th largest economy, with almost 3 decades of uninterrupted economic growth. Its high standard of living, diverse and unique natural beauty, and stable, safe living conditions make it a highly sought-after destination for those wishing to relocate. The country’s golden residency program has straightforward and well-defined criteria, and you can include your family members in your application without having to increase your investment amount. You can extend the benefits of Australian residency to your spouse and children under 18. Dependent children over 18 can also be included in the application if they are full-time students or disabled. The Australian residency-by-investment program requires a range of previous experience, skills and qualifications. 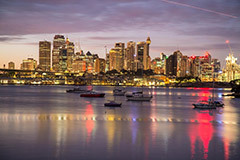 You will have to present evidence of English skills, business or investment management experience, and a genuine willingness to maintain your investment in Australia. You are also required to reside in Australia for at least 2 years within a 5-year period. The program is open to main applicants under 55 years of age, although this requirement may be waived for applicants whose investment is deemed especially beneficial by the Australian authorities. Income that you earn from your designated investment in Australia is subject to tax under Australian taxation law. You and your family members will be able to enter and re-enter Australia without restrictions for the duration of your residence permit. To apply for a business investment visa, you must invest at least AUD 1.5 million, and hold that investment for at least 4 years. Your investment has to be pre-approved by the state of territory where the investment is made. You and your spouse also have to demonstrate personal assets of AUD 2.25 million eligible for investment within 2 years. Additional investment classes of AUD 5 million and 15 million are also defined as higher tiers of the investment residency program. In general, the higher your investment, the more likely your application is to be granted.